I’m so excited to introduce a real-life World War II story – Barbara von der Oster’s father missed not just one Christmas with his family, but three. World War II stole him away, and I think you’ll enjoy Barbara’s tale of his three holidays as a lonely sailor. I learned so much from reading LST 388, the name of the vessel that took her father to several major war theaters and the title of Barbara’s book. 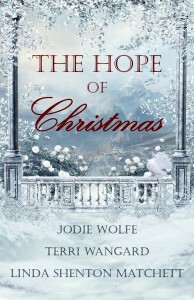 She offers us yet another gift–a paperback copy of this book to a reader who leaves a comment. With the start of December comes planning for the holiday, including decorating, baking, shopping and making decisions on where to spend Christmas. 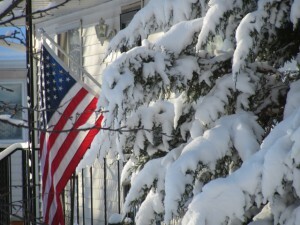 Yet, even with all the commotion and must-dos, every year I pause and remind myself of those who can’t be home for Christmas. Our military men and women often find themselves far from home during this time of year. My father, while serving in WWII, missed not one, not two, but three consecutive Christmas holidays with his family back home in New York. 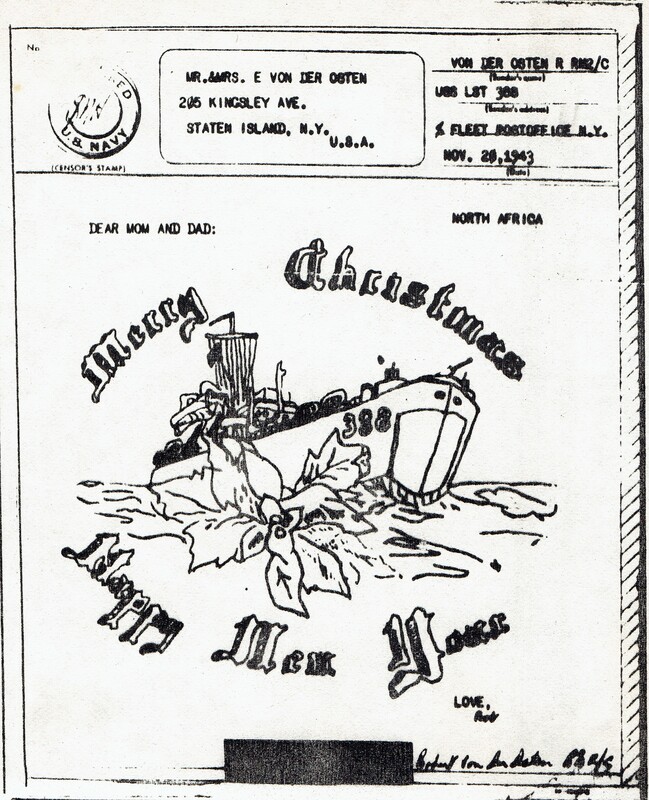 His first Christmas away, in 1942, he found himself in Norfolk, Virginia after receiving a few hours liberty from his new assignment on the amphibious force landing ship, USSLST-388. At a bar in a seedy part of town, he writes in his journal about listening to songs on the jukebox, such as White Christmas, and thinking of home. As he leaves the bar with other sailors, Christmas carols blare from the loudspeaker above the Monticello Hotel. He joins in, singing along with sailors and civilians alike as he walks along the street. By the time the next Christmas, 1943, arrived, he had sailed overseas to North Africa, participated in two hostile invasions (Sicily and Salerno) and sailed to England to begin preparations for a third (Normandy). 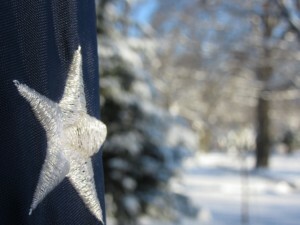 While on a short liberty in England, he runs into a woman who happens to have a sprig of mistletoe attached to her coat. He bets her she can’t raise it above her head, and, much to his delight, she does. He leans in and plants a kiss on her lips. Returning to the ship, he finds he has several letters waiting and settles in to read each one, treating them as special gifts. Soon, however, he and his shipmates are forced to spend the next several hours fighting off an attack by German planes and eboats in the English Channel. A subdued Christmas Day dinner follows after all but their nerves have quieted down. Another year passed, which included the devastating invasion at Normandy, and Christmas found my father once again in the English Channel, this time carrying reinforcement troops and equipment from England to France. Unbeknownst to him at the time, the German navy had launched a last desperate offensive to stop the supply of more troops to the continent, sinking several ships directly ahead in his own ship’s path. 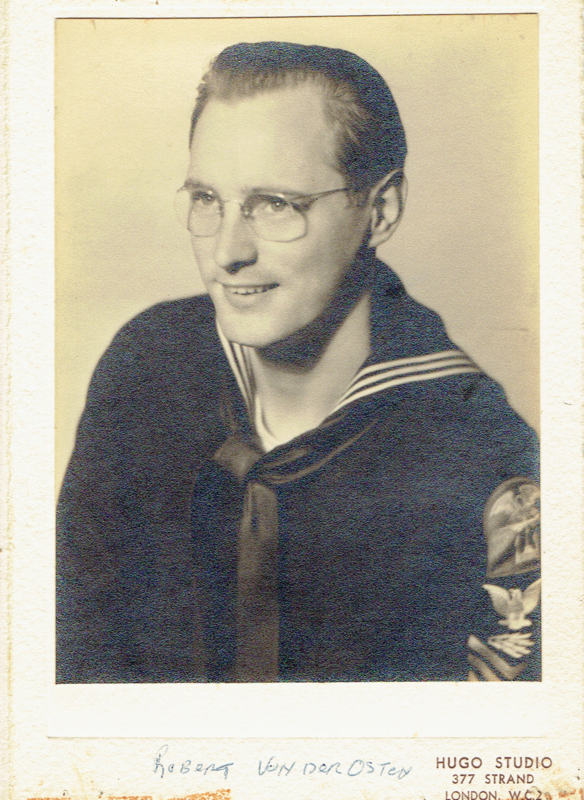 All throughout, my father sought out church services on Christmas, whether at the USO or American Red Cross, or even onboard his ship. He never lost his faith. Today’s military men and women no doubt are doing the same. 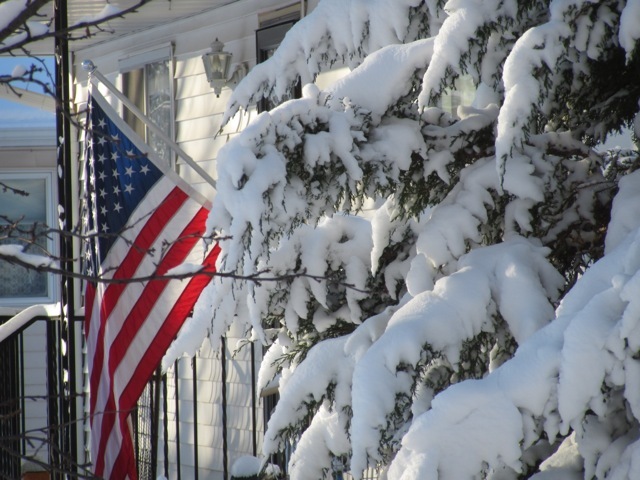 So amidst the holiday hustle and bustle, the planning, praising, gift-buying and decorating, I’ll be keeping not only my father in mind, but also present-day military men and women’s sacrifices. Let’s all keep them in our prayers this year, and hope they’ll be home soon. 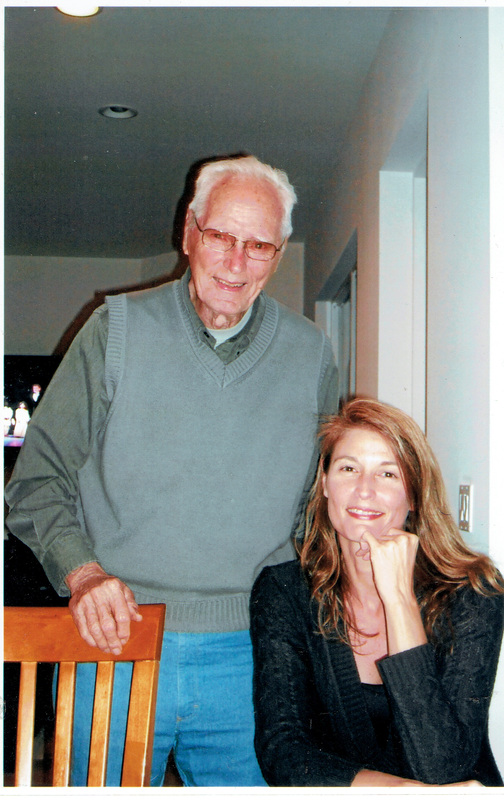 Barbara co-authored the book LST 388: A World War II Journal with her father, who passed away in December 2016 at the age of 96. 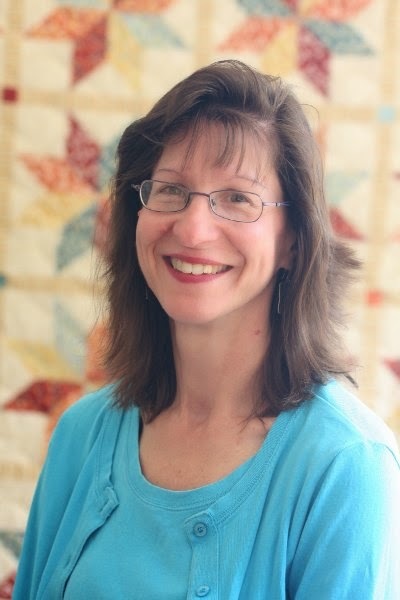 She is currently working on her first historical fiction novel, based loosely on her father’s experiences in WWII. She says, many times people will pick up a novel rather than a memoir or history book, so this is another way to share a bit of history, and keep the memories and sacrifices of WWII alive. Barbara will also have her own memoir out in early 2019. In it, she shares her experiences as a fashion model in Europe during the mid-1980s. 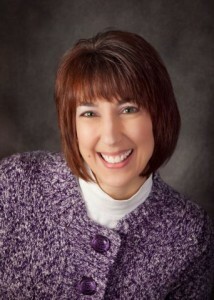 You can reach Barbara through her book website, www.lst388.com. 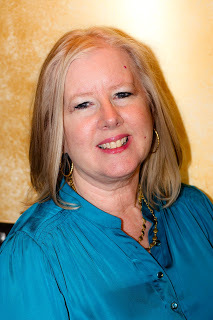 I’m excited to welcome Linda Matchett to Dare To Bloom, because she loves the World War II era–a kindred spirit! By leaving a comment, you qualify for a free e-book copy of A Doctor In the House. Linda, tell us about your new Christmas historical fiction. Countless books and articles have been written about the cozy relationship between Winston Churchill and Franklin Roosevelt during WWII, however their troops didn’t always enjoy the same chummy feeling. The two world leaders had known each other since Churchill was First Sea Lord at the Admiralty, and recognizing that Britain’s combined military strength was greater than America’s, Roosevelt cultivated relations with England by inviting the King and Queen for a U.S. visit in the late 1930s. After the war began and against the wishes of his isolationist-leaning citizens, Roosevelt continued to develop the friendship by creating the Lend-Lease program to provide supplies to his unofficial allies. The desire for neutrality and not “getting involved in a war that isn’t ours” was strong. Then one day after the attack on Pearl Harbor, Germany declared war on the U.S., and the country was forced into the conflict fighting on two fronts. After a period of training, many of the American troops assigned to stations around the world encountered condescension and hostility from the British. Nicknames such as “Johnny-come-lately” and comments such as “late to the last war and late to this one” greeted the new arrivals in 1942. British morale was low, and the soldiers were poorly paid and bedraggled. In contrast, the Americans were well-paid, wore brand-spanking new uniforms, and had access to goods and equipment unavailable to the English. The catch-phrase describing the “Yanks” was “overpaid, over sexed and over here.” The Americans didn’t help matters by complaining about the food, weather, and a country they considered old-fashioned. A Doctor in the House (part of The Hope of Christmas collection): Emma O’Sullivan is one of the first female doctors to enlist after President Franklin Roosevelt signs the order allowing women in the Army and Navy medical corps. Within weeks, Emma is assigned to England to set up a convalescent hospital, and she leaves behind everything that is familiar. When the handsome widower of the requisitioned property claims she’s incompetent and tries to get her transferred, she must prove to her superiors she’s more than capable. But she’s soon drawn to the good-looking, grieving owner. Will she have to choose between her job and her heart? Linda Shenton Matchett is an author, journalist, blogger, and history geek. Born in Baltimore, Maryland, a stone’s throw from Fort McHenry, Linda has lived in historical places most of her life. She is a volunteer docent at the Wright Museum of WWII and a trustee for her local public library. Along the way, Lance sent me this photo, and when I arrived home after visiting several public libraries – Adair, Anita, Winterset, Creston, Red Oak, and La Vista in Nebraska – I asked how he ever managed to take this shot. 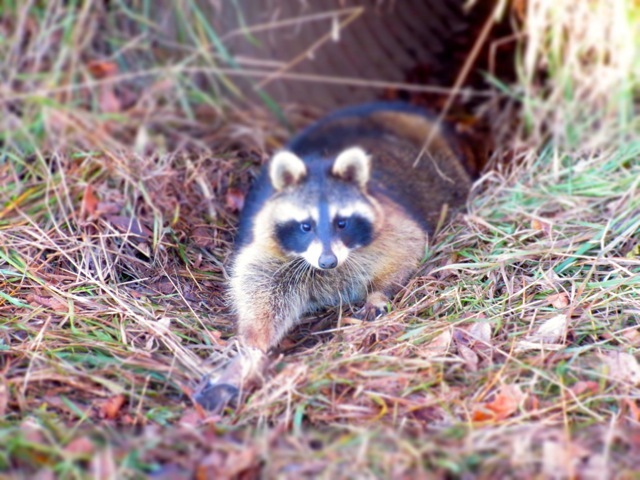 Turns out our little raccoon friend had gotten caught in a trap, so Lance spoke with our local policeman. Hopefully, they were able to help the frightened creature. Such remarkable coloring – you’d never know by looking that this animal was held prisoner. So much we don’t notice until we get the full story, eh? Isn’t that the way it is with people? We interact with all sorts, and since I’m an inveterate “people person,” I really enjoy meeting new folks who attend my book talks. Sometimes we strike up a friendship and continue to communicate, and often, I learn more about the person’s background. Maybe they’re caught in a trap of sorts, like Addie was seventy-five years ago as the Pearl Harbor attack thrust the U.S. into WWII . Maybe they’re just waiting for a new friend to show up, offering fresh ideas and alternatives they’ve never considered. My cousin Carolyn allows me to stop and collapse in her spare bedroom on these trips, and she sent me a great photo a few minutes ago. Their pet hens, each with a distinct personality, produced something they’d been waiting for this morning. 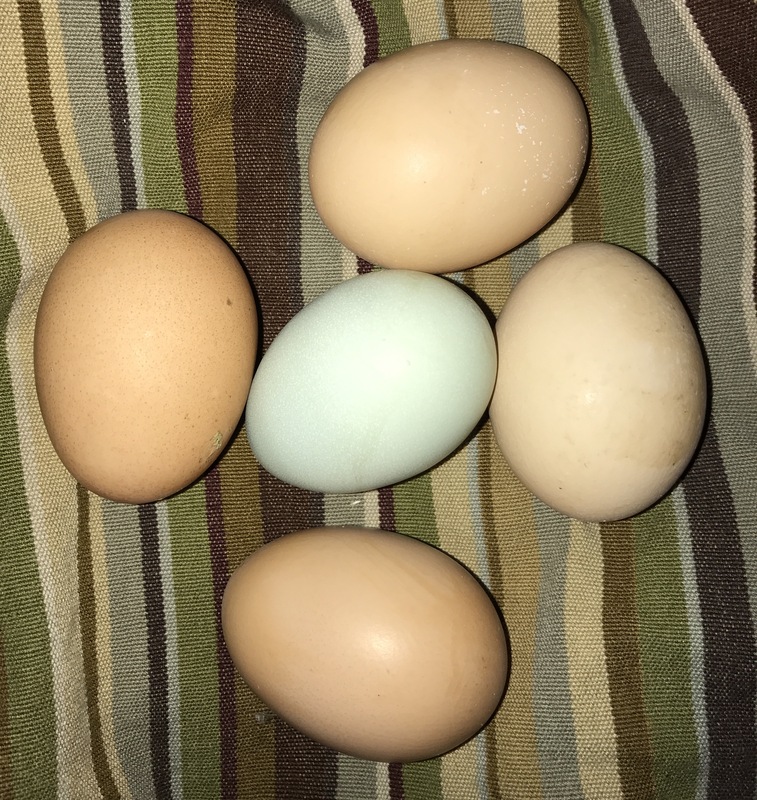 A blue egg amongst the brown …pretty cool! Carolyn and her son creatively named the hens. 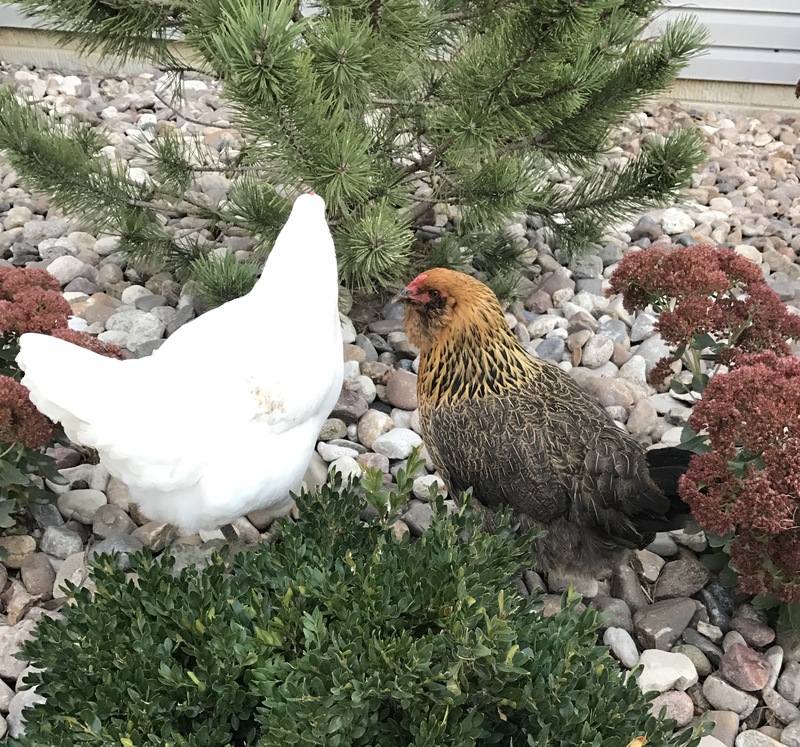 The blue-egg layers (Ameraucana) answer to Mamie Eisenhenner and Martha Cluckington. What’s not to love about that? No chance either of these ladies would ever get caught in a trap, unlike the thousand hens running loose on my grandparents’ farm in Addie’s era. 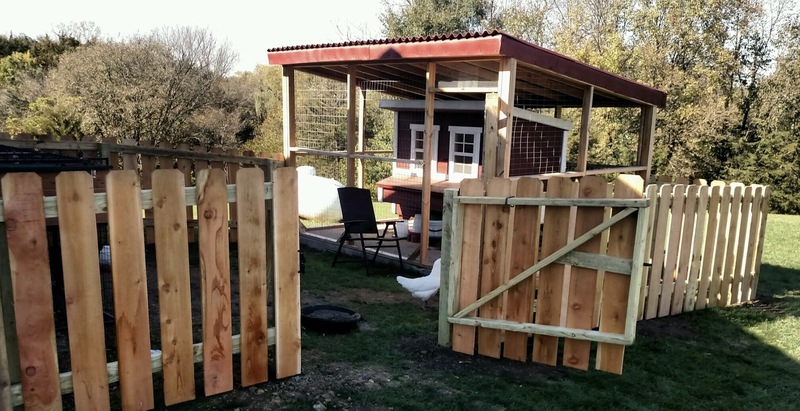 Nope, these hens enjoy a fenced-in home, complete with a light to encourage more egg-laying as the cold sets in. Back to my book tour. My gratitude goes to all the library directors who advertised my visit and continue to promote my books, and those readers who’ve told me Addie’s story intrigued them and piqued their interest in World War II history. We often discuss rationing at these talks, and the role various foods played. In England, each person enjoyed only ONE EGG every two weeks. Certainly a good time to live down on the farm. Back in the forties, autumn saw my heroines harvesting the last produce from their victory gardens, hauling burlap bags of potatoes and carrots to the hideaway under the windmill, drying walnuts to pick through on winter nights, and stripping dry bean and pea pods to save for next year’s seed. 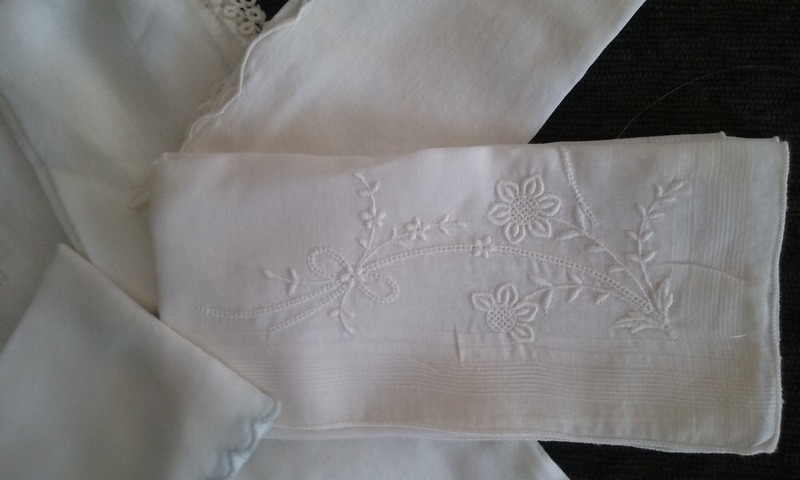 With more time ahead for indoor work, perhaps some women looked forward to sewing and mending. Addie didn’t, that’s for sure. But she did enjoy knitting sweaters for the soldiers, and even tried her hand at fine stitching. 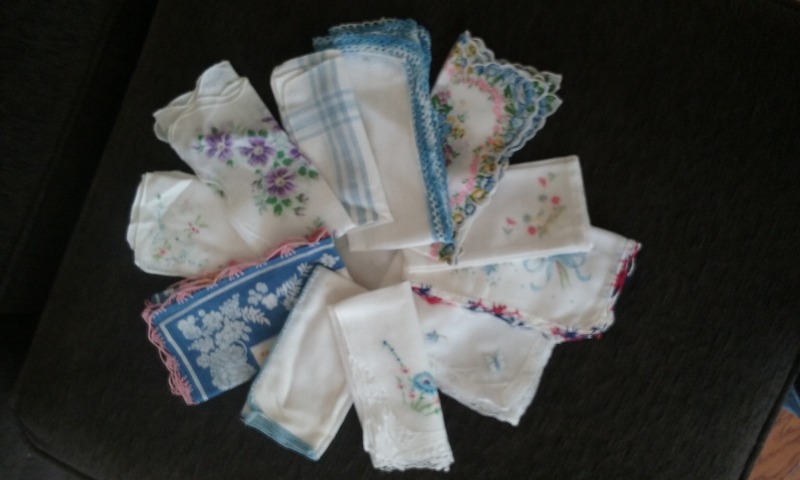 Recently, I found an amazing cache of someone’s hankies from that bygone era at a garage sale. The more I consider them, the more they overwhelm me with a sense of all the time someone spent stitching their decorative touches. Can you imagine the hours this required? And how about these? So many colors … so much creativity. Picture some weary woman crafting these in her “leisure hours” after a full day of hard physical labor. Those of us with limited stitching skills (I sew on buttons and do hemming. Period), stand in awe. Besides fashioning these gems, the Greatest Generation women and their forebears carefully laundered and ironed these useful items, these tear catchers. How things have changed, eh? 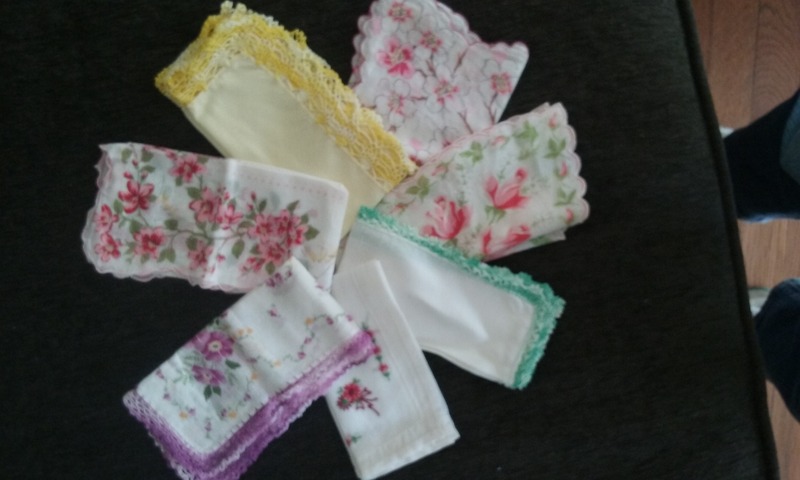 Paper tissues catch our tears during life’s ups and downs. I’ve been going through some changes too. Yep. Because of an eye challenge, my computer time is now greatly limited – yes, I’m looking into one of those new-fangled speak-into-your-computer programs. The past few weeks may have found me remiss with online duties, and that may continue. 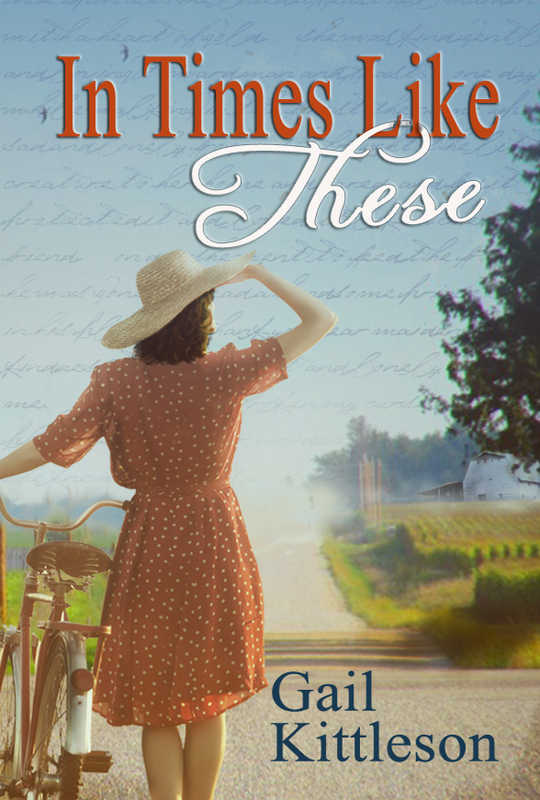 But stories still bounce around in my head, and the sequel to In Times LIke These will release with Lighthouse Publishing of the Carolinas in February 2017. I appreciated that you didn’t have easy answers for Addie’s troubles. I tend to shy-away from Christian fiction for fear of the platitudes. I have recommended this read to a couple of my friends. So satisfying – words from readers mean so much! For those who’d like to communicate with me, I check my e-mail address gkittleson@myomnitel.com, most often. Thank you. And thanks for your patience, and oh! I’ve shared the title of the sequel numerous times, but it’s been changed to With Each New Dawn. As fall transforms into winter, may you keep discovering new reading delights! Seventy-four years ago, Americans woke to the horrible news of the Pearl Harbor attacks. I can’t let December seventh go by without calling attention to this significant event in our nation’s history. Many young men went to war during the next months. My grandparents sent their two older sons to the fight, one still in his senior year of high school. The army drafted my dad, too, and my father-in-law. They all came home, but so many others didn’t. Fifteen years ago, our family visited Normandy and stood in an actual Nazi bunker from which soldiers rained fire on the D-Day invaders. And we spent some time in Dachau, recalling what motivated the Allies. Much of my writing research involves besieged London, southern France, where the Resistance risked everything to thwart the Nazis, and stateside. Everywhere, people sacrificed for the cause of freedom. Today, I’d like to honor my father, my father-in-law, my uncles, and so many who waited at home (like my grandparents and my mother.) 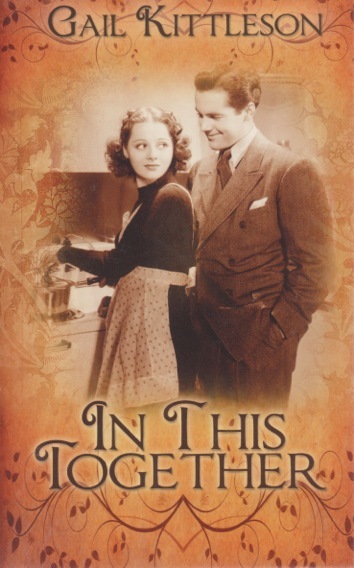 In This Together, my debut novel, honors them through the heroine’s loss of her son during the war, and her neighbor Al’s continuing challenges from his World War I service. 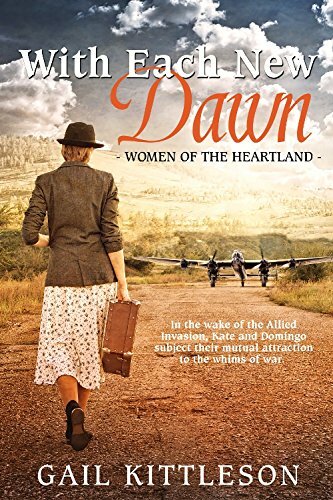 The story of the long-range effects of the war on a regular, down-to-earth rural Iowa Gold Star mother takes us back in time. Hopefully, readers will resonate to Dottie’s sacrifice. Welcome, Johnnie, to my blog and question city. Years ago, did you see yourself where you are today, celebrating the print copy of a World War II novel? The turning point for me came in 2003 when I participated in National Novel Writing Month (NaNoWriMo) for the first time. For the next decade I dreamed of being a published author. Like many writers, it was a two steps forward/one step back journey. And sometimes it was a one step forward/many steps back journey. 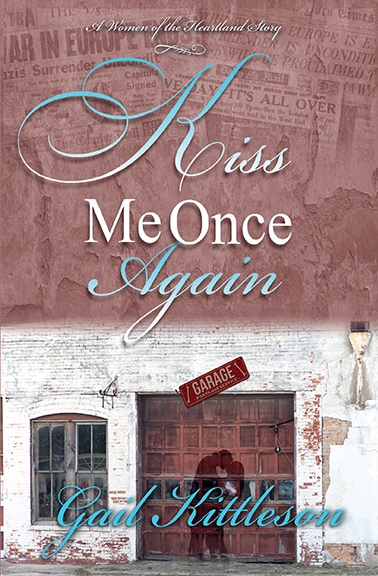 Other milestones came from winning awards at a writers conference, having an editor show interest in my writing, and then winning the ACFW Genesis historical category in 2011. I am thrilled that Tyndale released the print copy of Where Treasure Hides. It’s not the first print edition—that one was in Dutch—but it’s the first one I can actually read! The World War II era intrigues me. There’s no end to the incredible stories, and writing projects produce change in us (at least, they do in me). How did you grow through writing Where Treasure Hides? I’m intrigued by the World War II era also. The tragedies are horrendous, and yet we find amazing stories of courage and heroism. I asked myself what I would have done in different situations I read about. People risked their lives to save others, and they risked their lives to protect artistic treasures. The novel explores the theme of what we value most and it also encourages us to rejoice in the future God has planned for us. I try to remember that every day. How did your heroine’s character develop, and what prompted the translation into Dutch? I mean, why not French, Italian, or Spanish? Alison Schuyler, my heroine, was created especially for the hero with a touch of practicality and a few pages of free writing in a journal. Ian Devlin, the hero, plays a major role in an unpublished novel I wrote before Treasure. His relationship with the woman he loves is mentioned in that story (but I can’t say much more than that without getting into Treasure spoilers). The practicality came about because I once heard an editor advise new writers to stick to American characters. Alison needed to live in Europe if she was going to meet Ian, so I decided her father was Dutch and her mother was an American. Alison was born in Chicago and lived there until she was twelve years old. This would also explain any Americanisms that popped up. However, as I got into the story, I learned a secret about Alison’s mom. Those details are still a bit of a mystery. To become better acquainted with my heroine, I opened a journal and wrote: My name is Alison Schuyler . . .
After writing several pages, I knew more about Alison’s family heritage. From there, she grew into her own person as the story itself developed. The translation happened because a freelance editor with a Dutch publishing company read the story, loved it, and recommended it to her client. And they published it! Alison lives in Rotterdam, Holland, and her family has owned an art gallery there for generations. 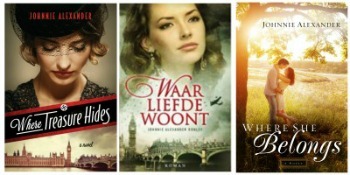 Except for a few scenes that take place in England, most of the opening chapters are set in Rotterdam. I’d like to learn more about Where She Belongs, as well. How would you compare the writing process with Where Treasure Hides? Both novels were NaNoWriMo projects before they were polished manuscripts. Exuberant, messy drafts that needed a lot of revision—Where She Belongs in 2005 and Where Treasure Hides in 2009. WSB is a contemporary so it didn’t require nearly the research that Treasure did. It’s also a more personal story since I once lived in the house that is at the center of the novel and often dreamed of someday living there again. Both stories are “heart” stories. Treasure because of my fascination with the themes it explores and WSB because of my cherished memories of a beautiful brick home that was abandoned for a time. Why do both titles begin with the same word? I’m a little tickled by that, but it’s not on purpose. Where Treasure Hides has been the only title I’ve ever used for that story. But that’s NOT the case with Where She Belongs. I’ve actually lost count of how many titles it has had. Though I can tell you it was Bronze Medal finalist in the My Book Therapy Frazier Contest under the title Where the Whippoorwill Calls. When I submitted the proposal to my agent, it was titled Into a Spacious Place. I love this phrase because it’s a promise I believe God made to me when I was at a writers conference several years ago. I believed it was an assurance that God held my dreams in his hands; not necessarily, that I’d be published someday, but that whatever happened, I could trust in him. Psalm 18:19, is used as the story’s epigraph: He brought me out into a spacious place; he rescued me because he delighted in me. However . . . the marketing team at Revell thought Where She Belongs was a more apt title for a contemporary romance. And I agree. 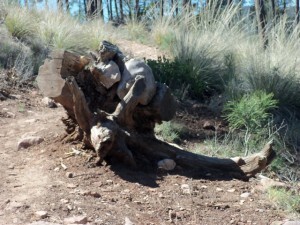 Last week I enjoyed a different perspective on the Arizona Pine Trailhead trail. Although a kazillion views of trees surrounded me, this one warranted a picture, an uprooted specimen with large rocks imbedded in its roots. Wow, the parallels we could draw! But one simple fact intrigues us–the roots still cling to these rocks. Even though the tree’s been pulled from its moorings, its moorings stuck to it. Ain’t that the truth about us? We may try to outrun our history, but no matter what, there it is. For example, we’ve known a man for over thirty years, and his choices have baffled, disappointed, and sometimes infuriated us. But just today, I heard about his mistreatment at the hands of a severe father. Life-threatening abuse. This doesn’t excuse our friend’s decisions, of course, but realizing the rocks imbedded in his roots reminds us there are reasons for his behavior. Those physical, emotional, and verbal beatings he suffered as a kid still resonate in his inner being, though his father died long ago and he’s now a grandfather himself. 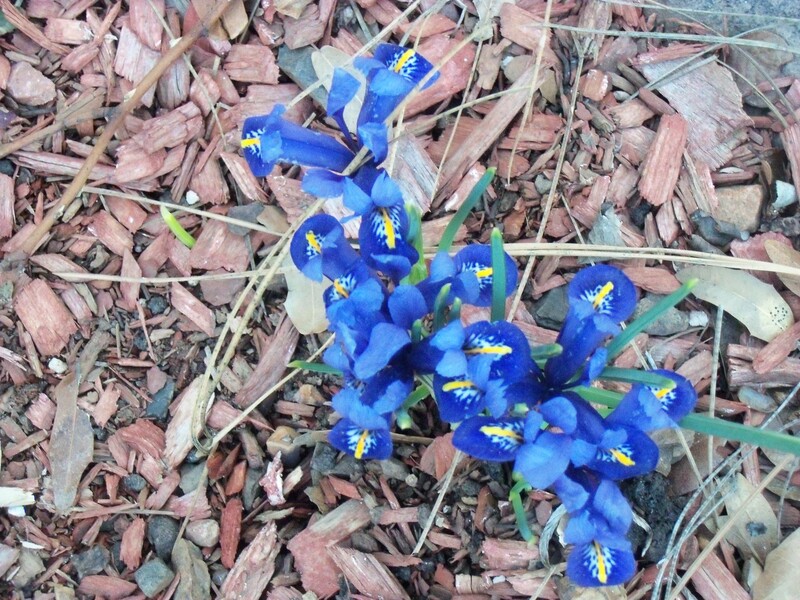 Later on the day of my hike, I was wandering in our yard and came upon this sprightly bit of cheer. 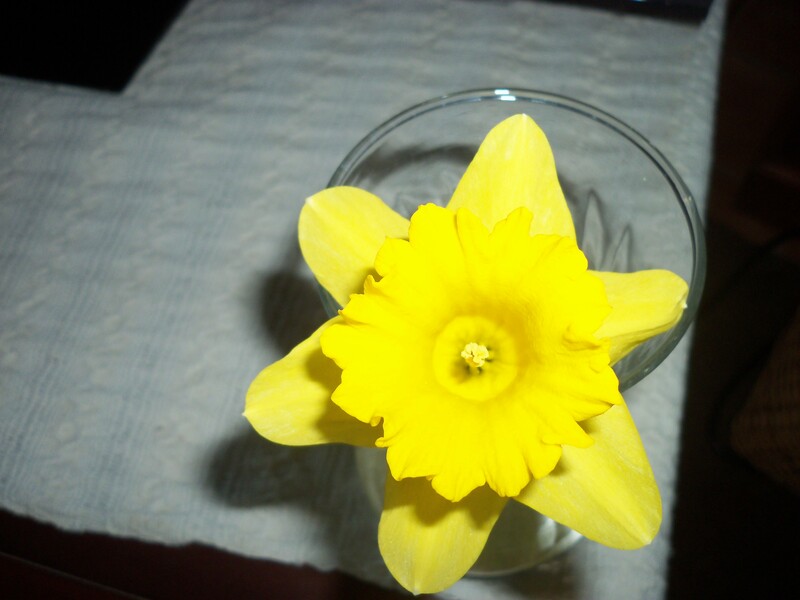 Nothing as yellow and encouraging as a daffodil. 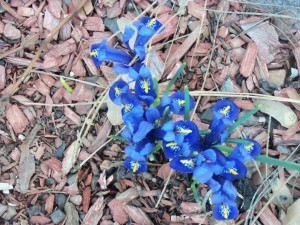 There it was, blooming its little heart out, right in the treacherous path of elk and deer and javelina. But somehow, it survived and testifies to the other side of things–one can grow up in nasty danger and yet thrive. Patricia Evans, a pioneer in the field of verbal abuse, has something to say about this. Our characters may have a backstory of abuse that figures into their present behavior. A couple of my women’s fiction novels feature heroines facing such after-effects. Whether it’s in 1870 Arizona Territory or at the eve of World War II, healing takes time–sometimes a great deal of time. But these women conquer and I can’t wait until you all can meet them. And if you have questions for Patricia, please feel free to ask and/or visit her site, which has many helpful resources. Thanks for stopping by. 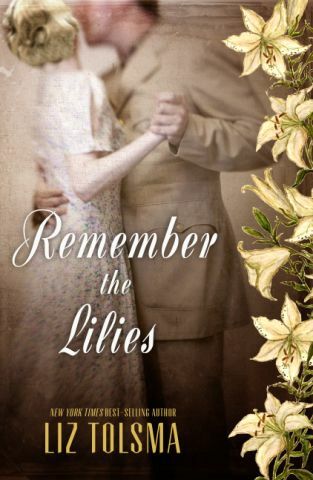 My guest today is Liz Tolsma, author of Remember the Lilies and the other works listed at the end of this interview. Liz, how did you start writing and what has kept you writing? I’ve always loved to make up little stories. My fifth grade teacher had us do a lot of creative writing. I remember how much fun it was to write a tall tale because I could be as creative as I wanted. She told me that she hoped to see me as a published authoress one day. That sparked the dream in me. I veered off on other paths for a while, but one day I decided that I didn’t want to get to the end of my life and wish I would have at least tried to follow my dream. Tell us a little bit about Remember the Lilies. Interred by the Japanese, missionary Irene Reynolds comes across a mysterious note while working at the censor’s office. She memorizes the parts she must black out and delivers it to wealthy nightclub owner Rand Sterling. Before she knows what’s happening, she’s drawn into a web of secrets and danger. Rand Sterling wants nothing more than to reopen his nightclubs once the war ends. But slimy Frank Covey wants his hand in the till—and has news that could threaten Rand’s reputation if it became public. 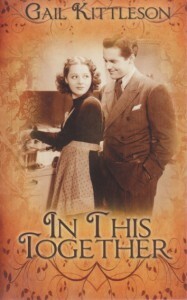 More importantly, beautiful and intriguing Irene Reynolds cannot discover this information if he expects to persuade her to become his wife. When Irene is attacked by a sinister Japanese guard and their secrets are exposed, they must learn the true meaning of forgiveness—if they can stave off starvation until the American troops bring freedom. What inspired you to write this particular novel? When I was putting together the proposal for this series, my son noticed they were all set in the European theater. As a big Pacific theater buff himself, he suggested I set one there. I had heard about Westerners being interned at Santo Tomas a few years before that, and it was a perfect fit. What do you like most about the area where you live and/or grew up? 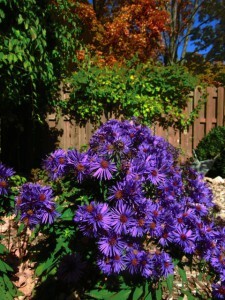 I love that we live in the country, near farm fields and hiking areas and that I have room for a large flower garden and a vegetable garden. But it’s only 20 minutes to town, and so when I need something or want to shop, I can be there quickly. How does your faith play into your writing? Either my characters are wresting with their need for God or else their faith is being put to the test. God is stretching and growing them. The not so obvious way is how it affects me. As I struggle along with these characters, I find myself growing. I spend time in the Word as I develop them and find my faith strengthened. Any upcoming projects you can share with us? 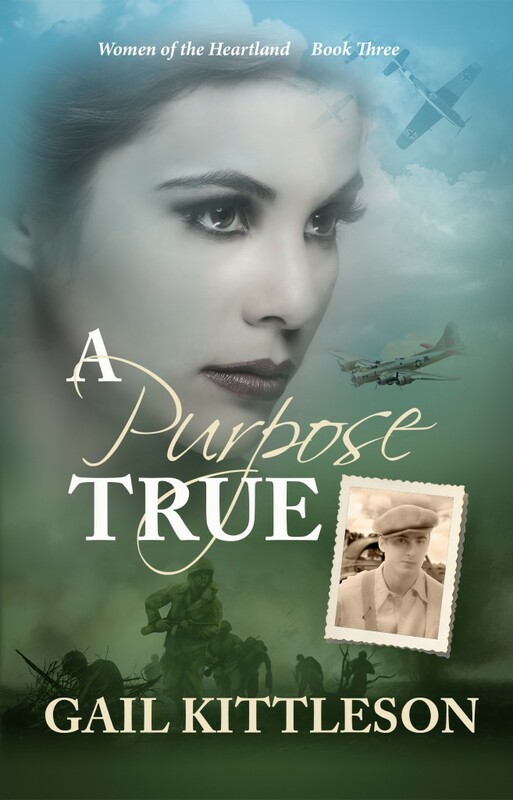 Nothing set in stone yet, but I do have a publisher interested in another series, this one following three American women journalists during WWII. The first one is set in England during the London Blitz. Where can readers engage with you? Thanks so much for joining us, Liz. 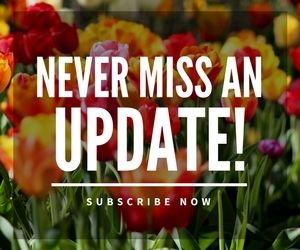 Readers, Liz welcomes your comments! Yesterday I was privileged to meet an eighty-nine year-old Swiss American. Ruth clearly remembers World War II, when she was a teenager. Eyes bright with recollection, she smiles while relating Switzerland’s “don’t mess with me” attitude. Though completely surrounded by Axis powers, Switzerland bucked the oppressors. Being a member of the Girl Scouts back then, with girls tramping through the woods, learning primitive cooking, first-aid, and getting actively involved in the war effort, led Ruth to some prime adventures. In the process, she developed her community’s self-sufficient attitude. Here’s a photo I took yesterday of some self-sufficient Arizona mountain flowers, but back to Switzerland. Having the Alps as sentinels helped, but the Nazis drew up invasion plans. However, they never occupied Ruth’s country. Resisting them was quite a feat, especially considering all the countries they did occupy. The Swiss immediately shored up their defenses at the beginning of the war, and all Swiss men served as soldiers from twenty to forty years of age. Ruth’s father kept his rifle handy, like the Minute Men during the Revolutionary War. Boy, did the Swiss ever follow this mantra—their Press openly criticized the Third Reich, often infuriating its leadership. Berlin denounced Switzerland as medieval and called its citizens renegade Germans. Attempts by the Nazi party to effect an Anschluss, or connection between Germany and Switzerland failed due to a strong sense of national identity. The country’s belief in democracy and civil liberties stood it in good stead. Case in point: Ruth remembers a German bookstore that sold only Mein Kampf and boasted a huge poster of Adolph Hitler at the entrance. She and her girlfriend decided to investigate (spurred by curiosity and possibly their Girl Scout exploits). The owner pushed them out and slammed the door to his regret. The Swiss home guard instantly absconded him to the authorities and closed down his so-called bookstore. We’ll never come to the end of all the stories, and writing about these strong survivors strengthens me. Ah . . . to have lived in that time, though I would be far less bold. But seeing the light in her eyes as she tells the tale makes me feel I was there, a silent onlooker cheering her on. Any writers out there, has meeting with actual participants in your historical plot events instructed you? And readers, how does an author make you feel as though you yourself witnessed what just happened—on the Swiss border or elsewhere? 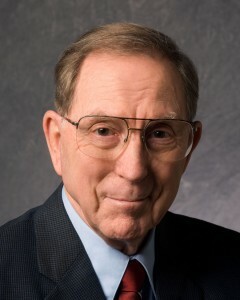 Please join me in welcoming author Donn Taylor. Today we’ll focus on his novel Lightning on a Quiet Night. He’s graciously giving away a copy to one fortunate commenter. Donn, your hero Jack, who impressed me from the get-go, is a recently returned WWII vet. How did your war experiences affect you and influence your writing? I don’t remember too much about my return from Korea except the true bliss of being back with Mildred. She says I was on edge for several weeks, but I don’t remember that. I hadn’t driven a vehicle for over a year, so I had her drive me out onto a country road for my re-initiation. But I was ready for city traffic before the end of the day. I learned quickly that my experiences would not be understood either by civilians or by veterans of other wars, so I mostly just fitted back into their worlds and let it go at that. Mildred had brothers in WW II, so a retuning vet was nothing new to her. Return from Vietnam was easier because we had an established family. Mildred and the children had stayed in the military community of Columbus, GA, and fortunately received none of the hate phone calls or other peaceful harassments practiced by the peaceniks. We had 30 days to sell a car and a house and ship out to Germany, so we were busy working together. Aside from having my heroes use routines of night vision without goggles and practicing details like covering phosphorescent watch dials, I think the influence is chiefly in attitudes. “The commander is responsible for everything that happens or fails to happen in his command.” That’s the rule both Mildred and I adopted for our lives, and it’s the way my heroes and heroines live. My second life rule is from aviation: “It’s what you don’t see that kills you.” Thus the quest for pertinent information is constant. I’m reluctant to lean heavily on any of this because so many vets have seen much more and tougher combat than I have, so my role should be to remain in the shadows and give them the spotlight they deserve. What motivated you to study Renaissance Literature? And how has that study and your teaching evolve into novel writing? Does anything specific about your teaching career lead you to write about murder and mystery? My undergraduate major was English, so during my military decades I always planned to get a doctorate in English or history and teach. I entered grad school intending to specialize in modern American novel, but that field had moved into philosophies I could not share—not merely naturalistic, but often into nihilism and absurd-universe theories. To use Mao’s description, I was a fish “swimming in a hostile sea.” But a course in Edmund Spenser brought me into a philosophically compatible area. I became fascinated by the remarkably coherent Renaissance body of knowledge and the ways poets, dramatists, and painters expressed those ideas in their work. Those relationships eventually became my dissertation. And today’s Christian worldview, though different in scientific fact and theory, shares the kind of coherence found in the Renaissance worldview. That has profoundly influenced my poetry. My poem “Married Love,” for instance, is structured in the Renaissance manner, trying to get in all the variations necessary to construct a veritable universe of the subject. That study has not much affected my suspense novels, but my mysteries (published and pre-published) are affected by it and my college teaching. My mysteries are set on college campuses, and the protagonist (Preston Barclay) is a history professor with a specialty in Renaissance history of ideas. So I manage to work in a few details of his classes. From my teaching years, I also satirize the college environment, with special attention to the shibboleths of political correctness. Nothing in my studies or teaching points toward mystery or murder. But those things happen in life and thus are good subjects for fiction. The trick is to adjust them logically into the often-quirky campus environment. Mildred has helped with your research. Is there any resemblance between her and Lisa in Lightning? Mildred was always a great help. We talked extensively about my novels, and she came up with some of “my” best lines. (“Two legs, four legs, or boxes. Cargo is cargo.”) She and I did background research for Lightning in the city library in Tupelo, MS, in the state archives in Jackson, and in the MS State University library. And much of the farming information she got by phone from her farming relatives in the state. I’d never have gotten that novel written without her. She was torn between foreign missions and marrying me. In the end, she got both. She says she became a missionary to some group or other wherever we were assigned. She wrote beautiful letters, but never felt moved to publish, made a special study and practice of prayer, and taught much about it to our family. Lisa, in Lightning, has some of Mildred’s characteristics—her soft strength, for example. And the love attitudes of Jack and Lisa are the same as ours. There is a lot of her in the heroine Sol Agueda de Roca in The Lazarus File. The more brittle heroines of Deadly Additive and Rhapsody in Red share only her intellectual integrity and determination to settle for nothing less than the truth. Do you follow a certain process in choosing titles or do they just “pop”? Titles are one of my weaknesses. I came up with Deadly Additive (worked out logically from the villain’s ingredients for a new chemical weapon) and Lightning on a Quiet Night, which popped into my head way back in undergraduate days. But my writing friend Wanda Dionne named The Lazarus File and named my untitled ms Melodies for Murder, which the publisher changed to Rhapsody in Red. I name my poems according to content. 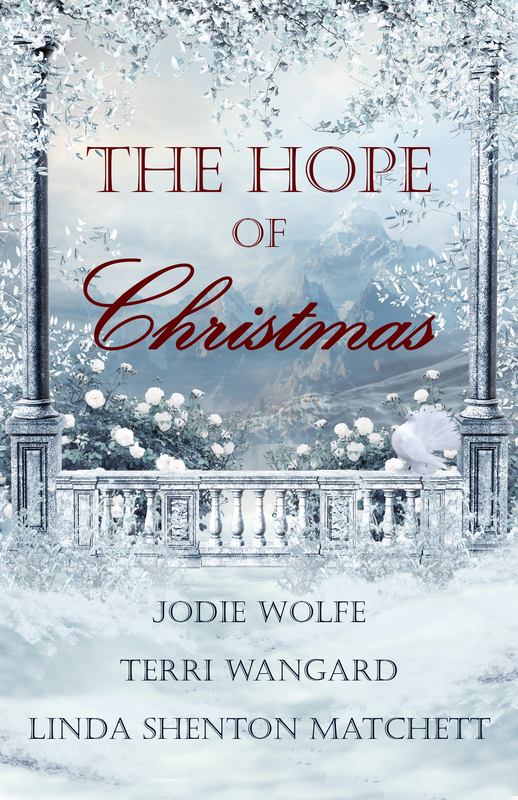 Thrown together by the vagaries of war, their shared mission, and common devotion to liberty, the last thing Kate and Domingo anticipate is the stirring of affection that threatens to blossom into love. But how can love survive in the midst of the enemy’s relentless cruelty toward innocent citizens? Everything hinges on the success of the Allied Invasion – L’Invasion.